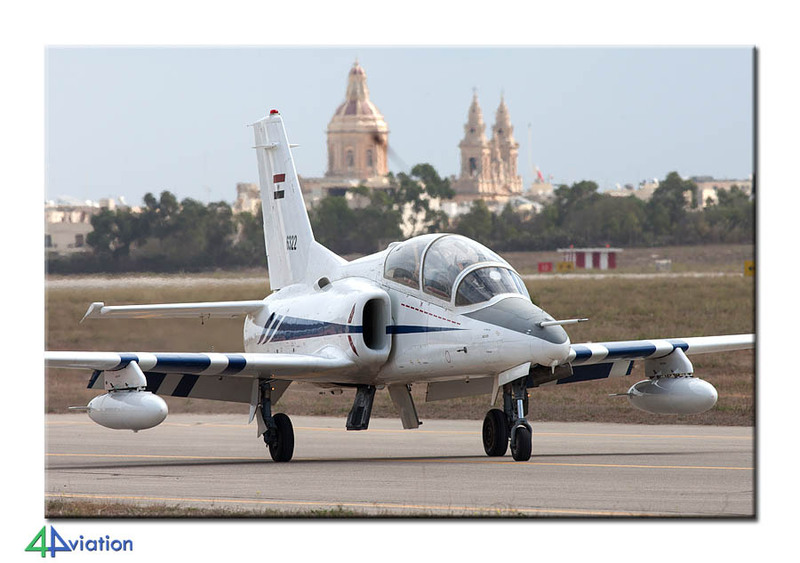 For already 22 years the Malta International Airshow has attracted many interesting visitors. This year’s edition, held on 27 and 28 September 2014, was no exception. Reason for us to celebrate the 100th 4Aviation trip with a tour to this beautiful island. 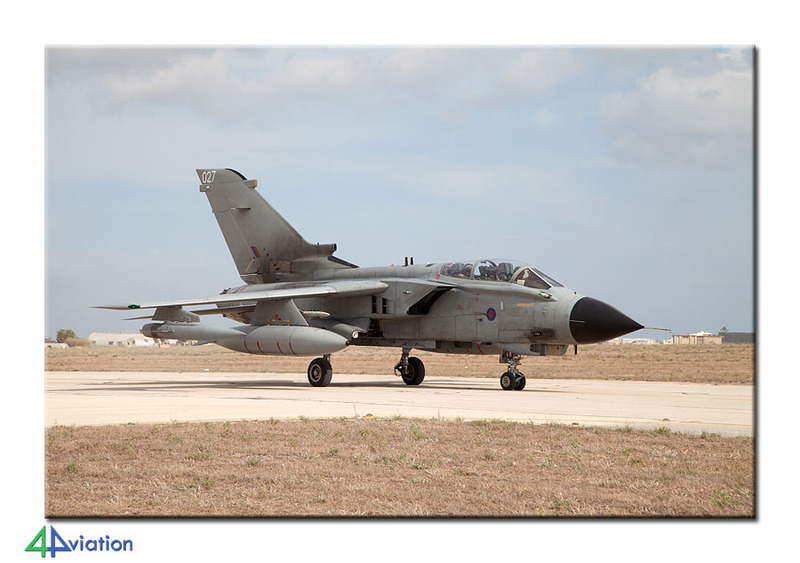 For already 22 years the Malta International Airshow has attracted many interesting visitors. 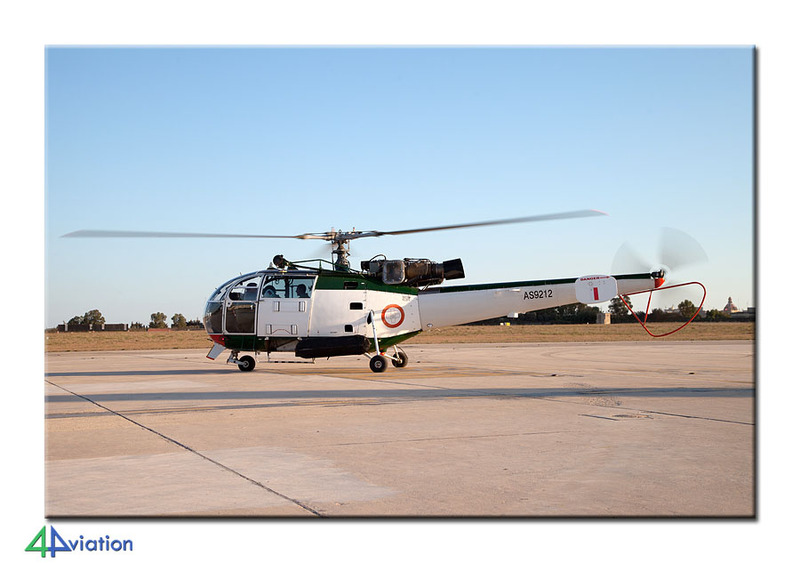 This year’s edition, held on 27 and 28 September 2014, was no exception. Reason for us to celebrate the 100th 4Aviation trip with a tour to this beautiful island. 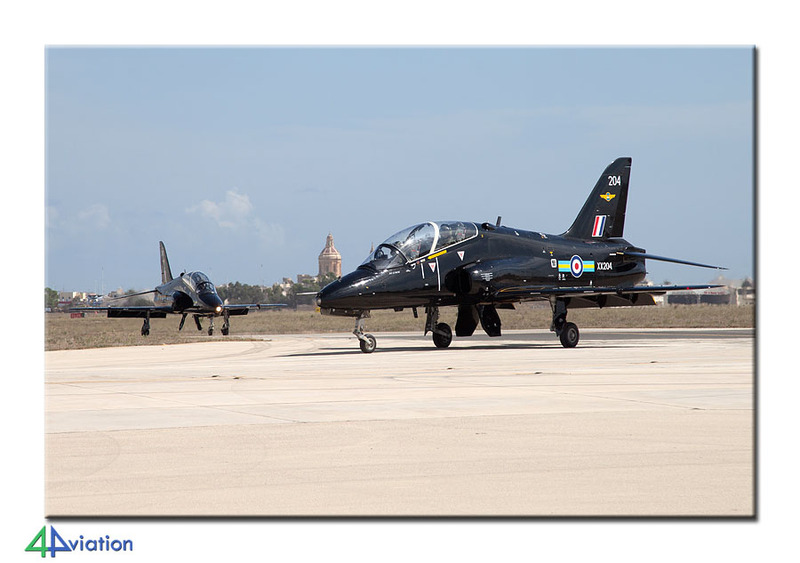 Despite some last minute cancellations, the Malta Aviation Society succeeded once again in attracting some special visitors to the small island. 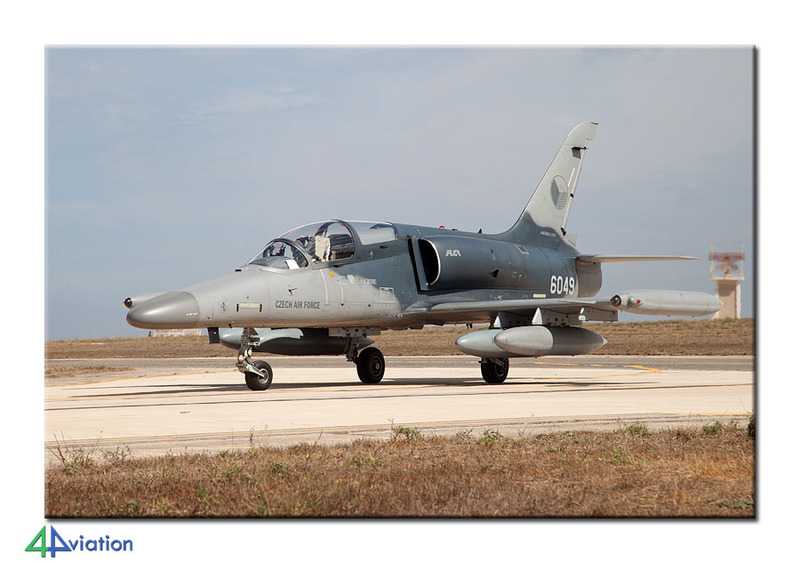 On early morning Friday 26 September 2014, a group of 10 photographers gathered at Schiphol for the tour to Malta. 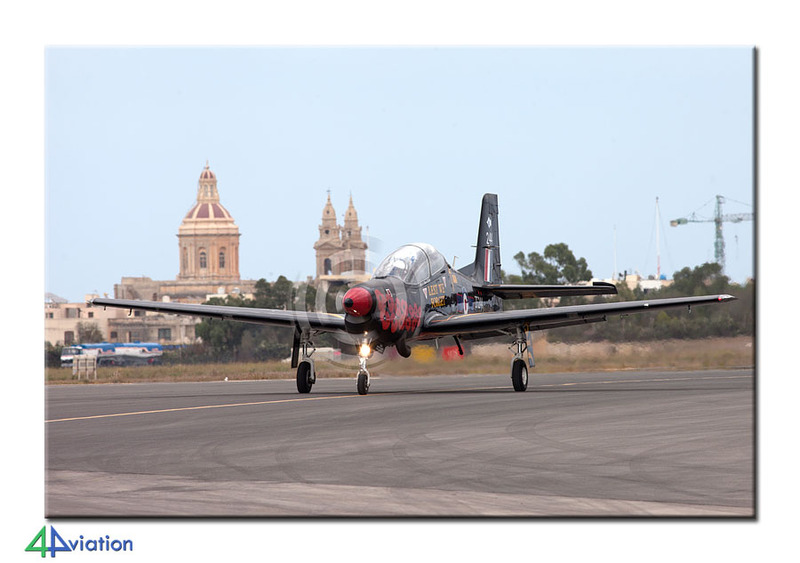 After a smooth and short flight we landed at Malta and drove our rental cars to the gate of the airshow. Most of the group had bought the four day entry pass so that we could enjoy the arrivals and departures of the show. Undisputed highlight of the show was a K-8E from the Egyptian Air Force. 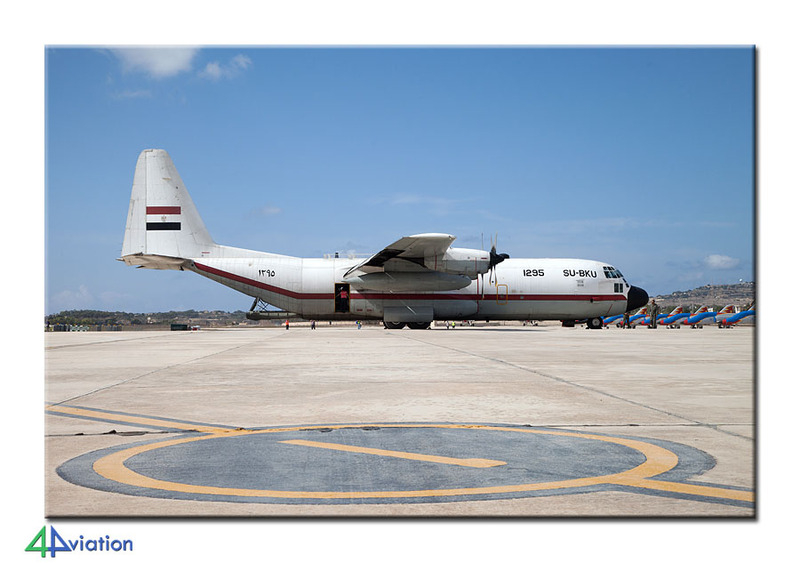 Supported by a C-130H from the Cairo based 516th Air Regiment, the K-8 from the 98th Tactical Fighter Squadron (El Minya AB) arrived on Friday 26 September along with a large delegation from the Egyptian Air Force. 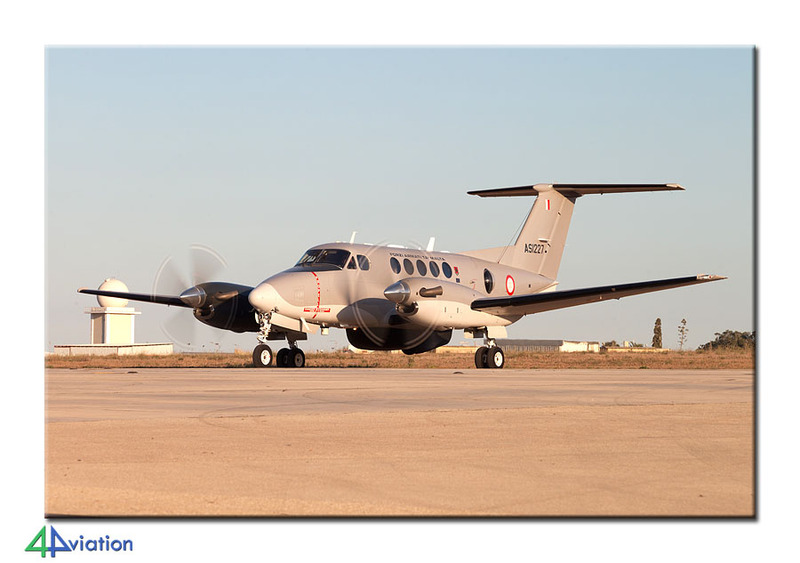 Already in 2005, a K-8E belonging to the demonstration team “Silver Stars” visited Tanagra Air Show in Greece but this was the first time a K-8E from a front line unit visited Europe. 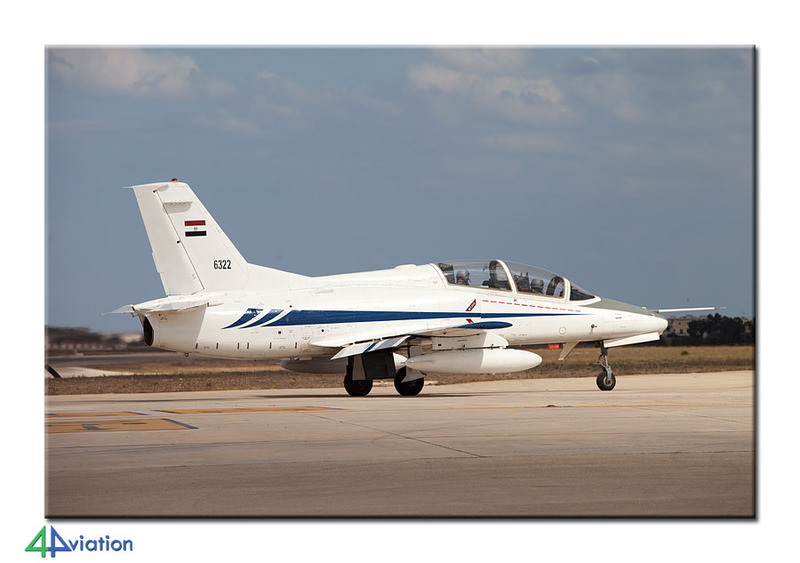 The Minya based 98th TFS, subordinate to the 770 Tactical Fighter Wing uses the K-8E in the Close Air Support Role. 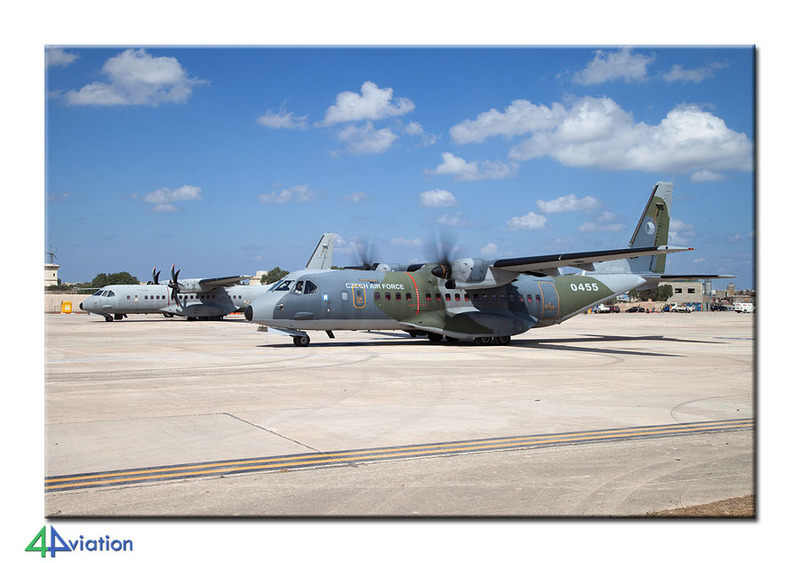 As the Qatar C-130J was cancelled at the last hour, the crew of the Egyptian C-130H was persuaded to stay during the Air Show weekend instead of returning home. 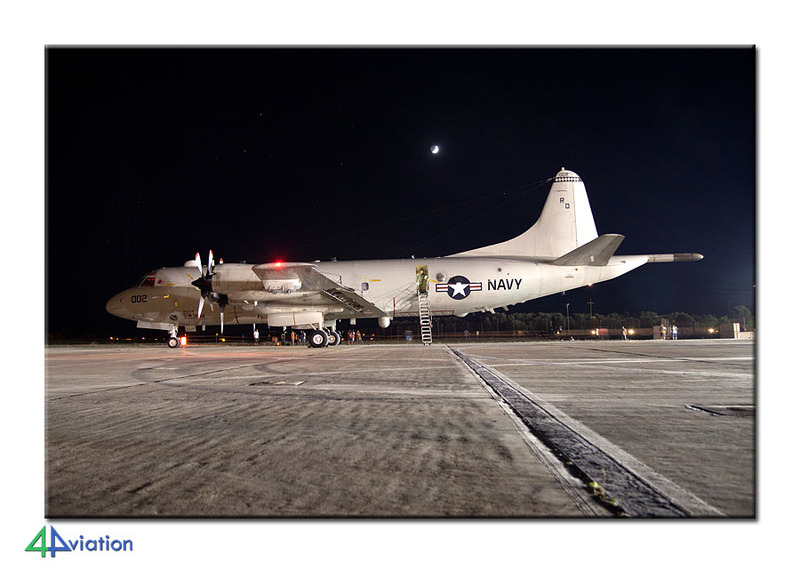 The organizers did a fine job in inviting a P-3C from VP-4 “Skinny Dragons”. 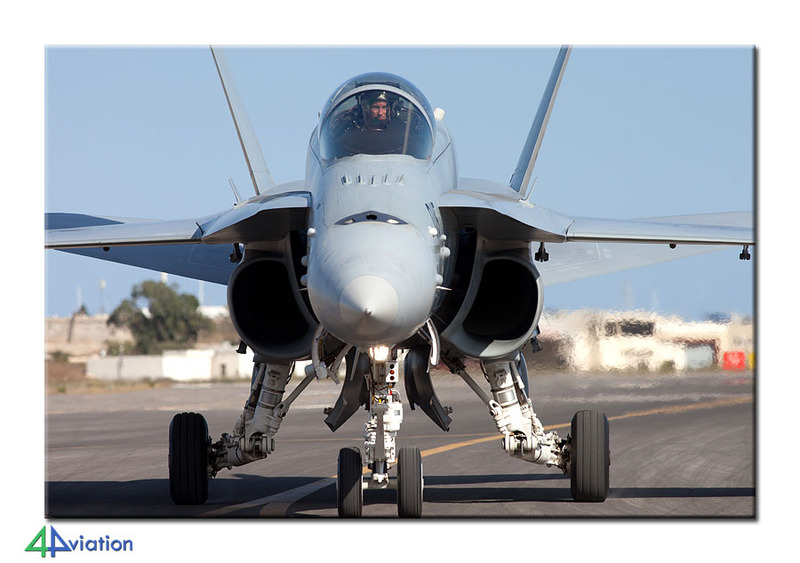 This unit, based at Hawaii, is currently deployed to Europe and not often seen by aviation enthusiasts. After all aircraft had arrived, we drove to our nearby hotel for some food and some sleep. The following morning (Saturday 27 September) was the first of the two show days, and we arrived at the show around 09.30. Overnight, all static aircraft had been ‘fenced off’, proving the value of the four-day ticket. 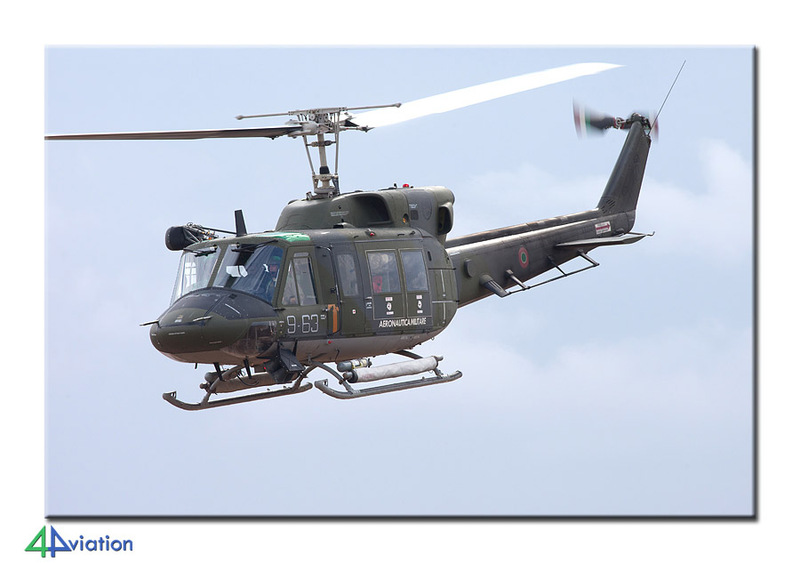 The airshow was opened by an Alouette 3 from the Maltese Forces, carrying a large Maltese flag. 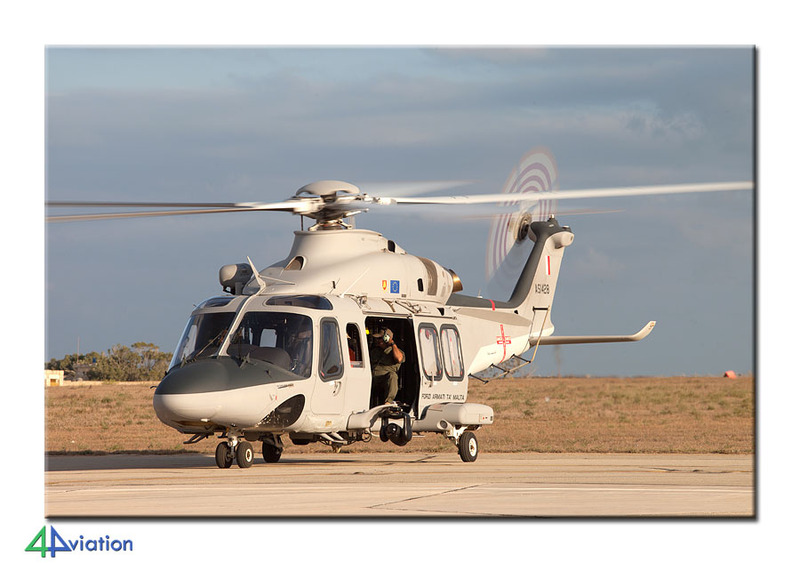 The Italian Air Force is a long standing supporter of the Malta International Air Show and this year a AW139, AB212 and Frecce Tricolori were present at the show. 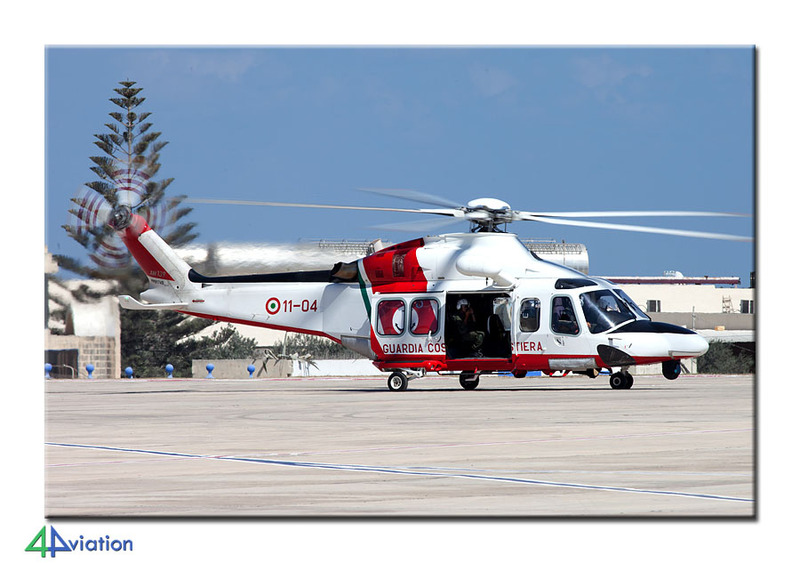 With the arrival of the first AW139 for the Armed Forces of Malta, the withdrawal of the AB212s is imminent. 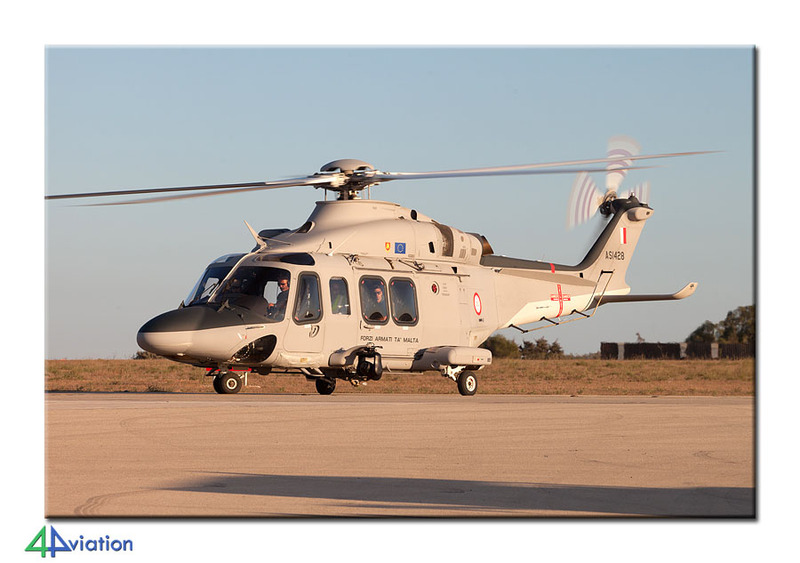 Delivery of the second AW139 is scheduled for late 2014. 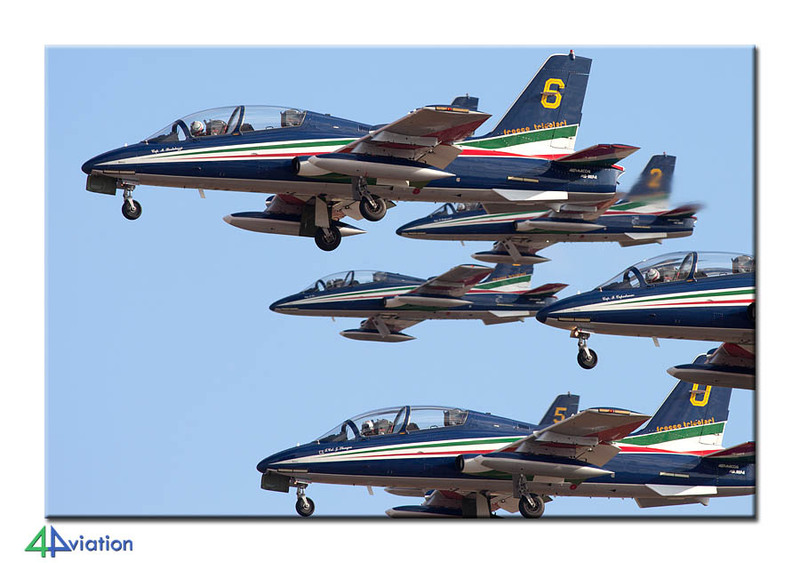 After the show concluded with Frecce Tricolori, we went back to the hotel. 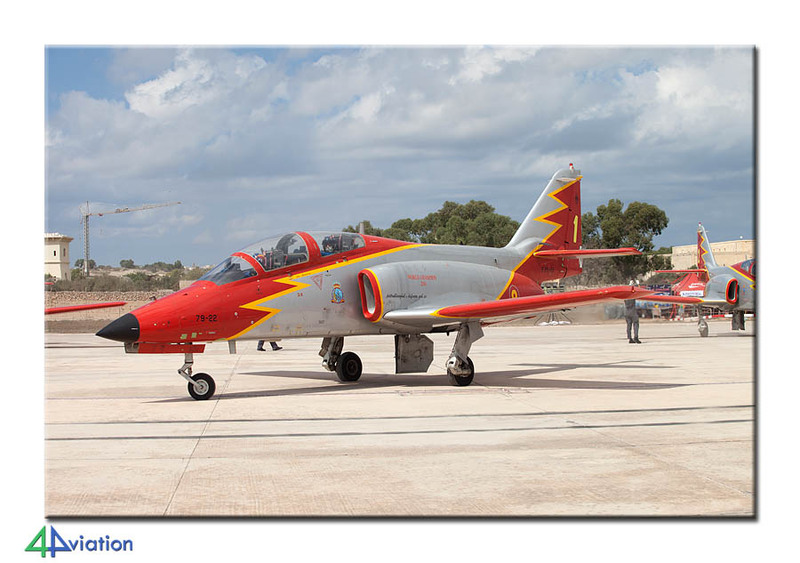 Sunday morning (28 September) we started at the excellent Malta Aviation Museum, after which part of the group went sightseeing and another part already headed for the airshow. 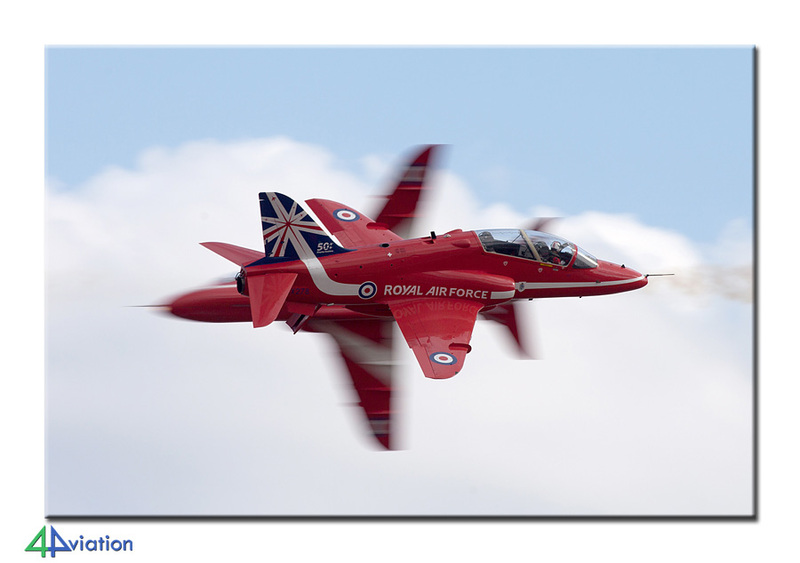 Most of the show was the same as on Saturday, except for the Red Arrows. 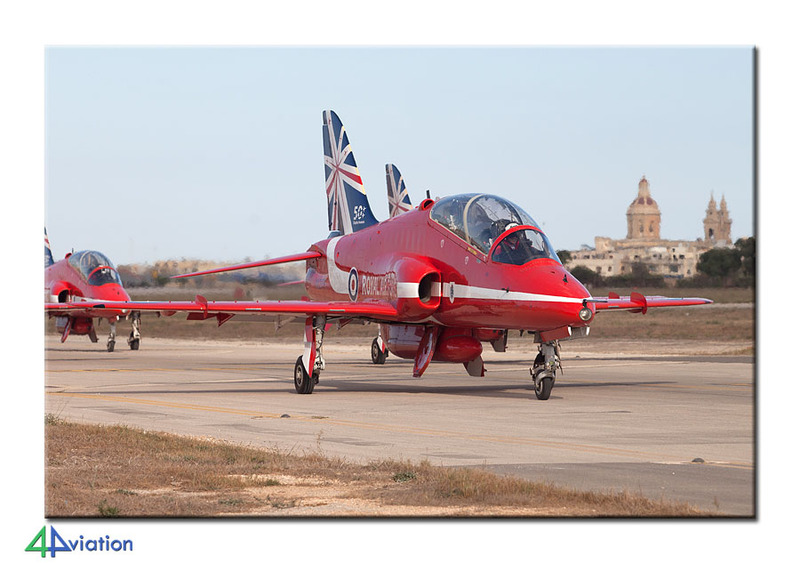 Combining two anniversaries, the Red Arrows joined up on Sunday 28 September 2014 with an A320 from Air Malta. 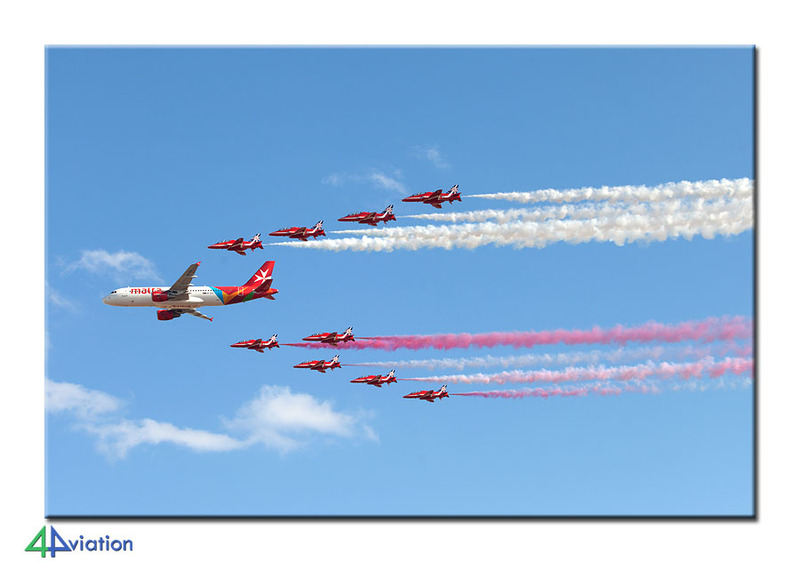 The Red Arrows, celebrating their 50th Display season, formed a Maltese flag with their smoke while they joined up with the A320, marking 40 years of Air Malta. 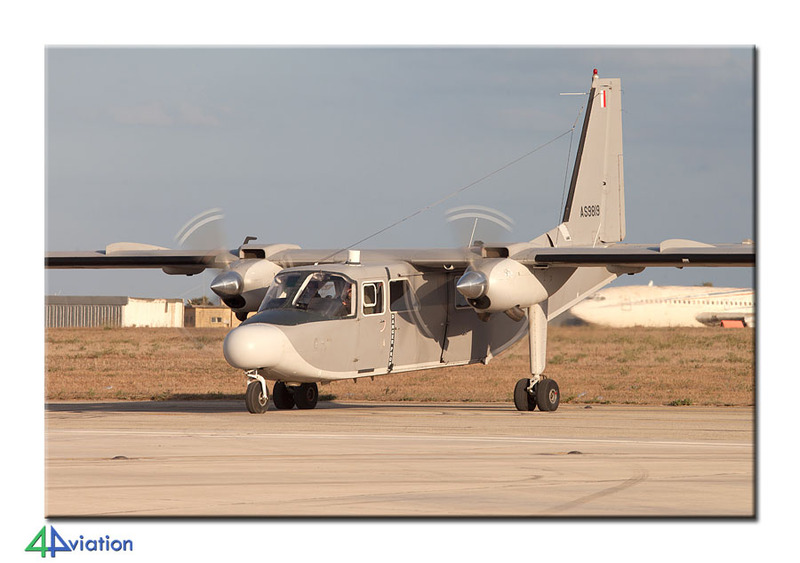 At the end of the show we could wait until sunset to make some great night shots of the static aircraft. Nice surprise was an additional P-3. 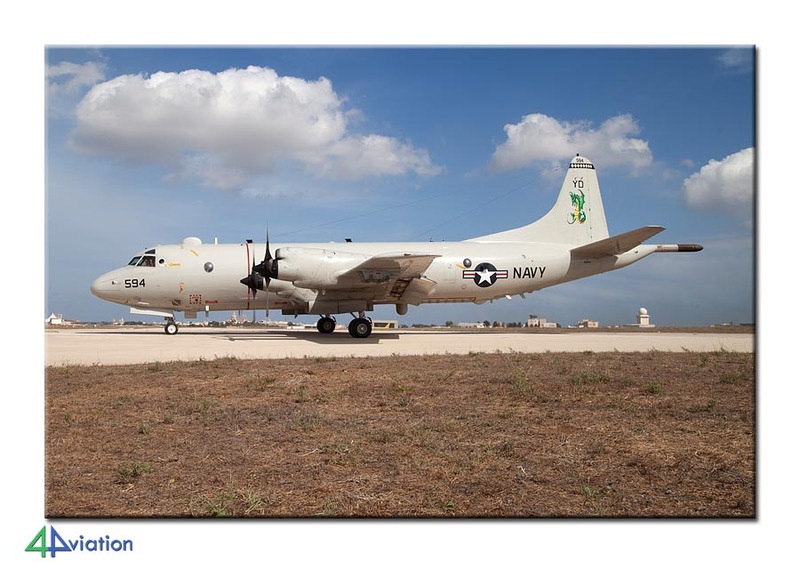 As the static aircraft broke down over the weekend, a VP-47 “Golden Swordsmen” P-3 had to bring spare parts, much to the joy of the local aviation enthusiasts. On Monday 29 September, we started early the airport to witness the departures. 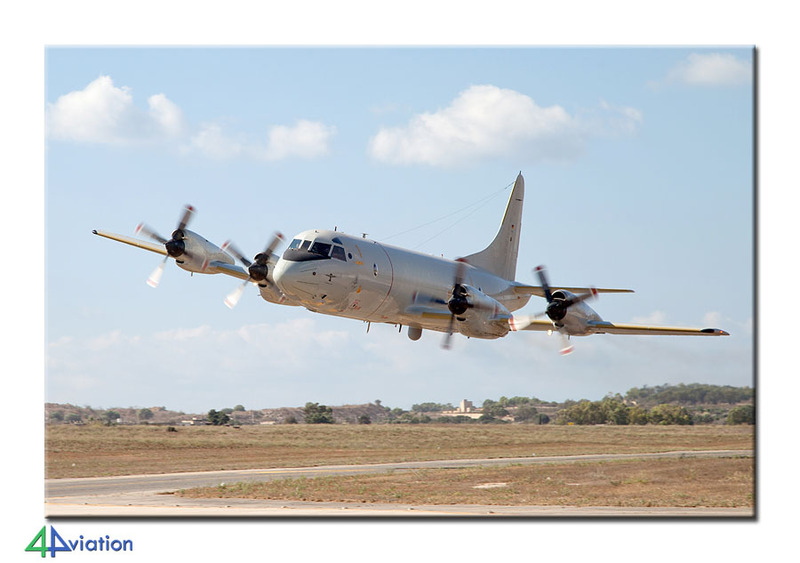 If there was an award for the most spectacular departure, the crew of the MFG 3 Orion certainly would have won it. After initial departure from the airport, the crew agreed on a low pass over the airport. 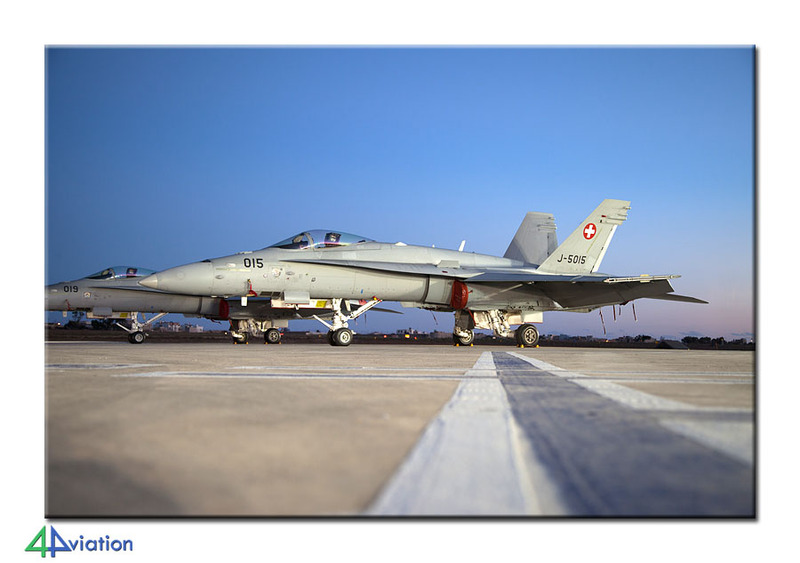 Much to the surprise of the photographers, the crew decided to use the taxiway as a reference for their pass, resulting in some spectacular and rarely seen images! After looking for a final stored aircraft near the airport, we handed in the rental cars and flew back to Schiphol, concluding our 100th tour! 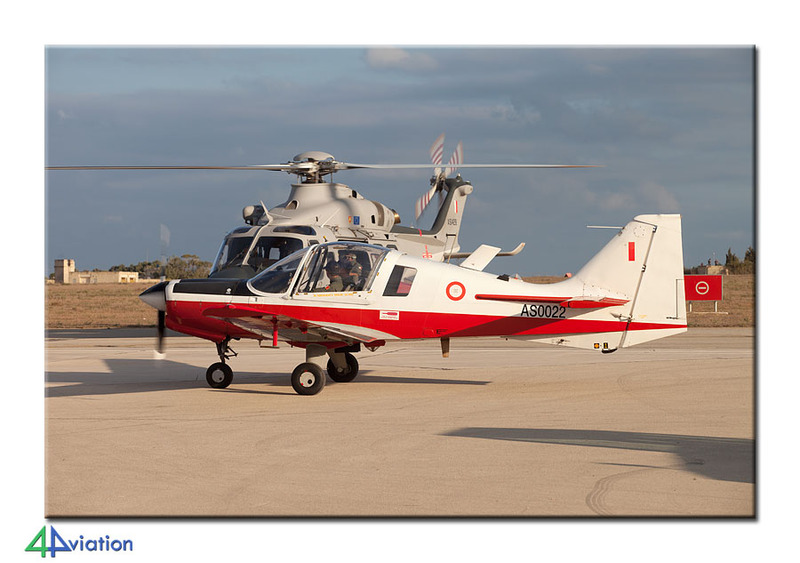 The 23rd edition of the Malta International Air Show might see a scoop in the European Air Show scene. 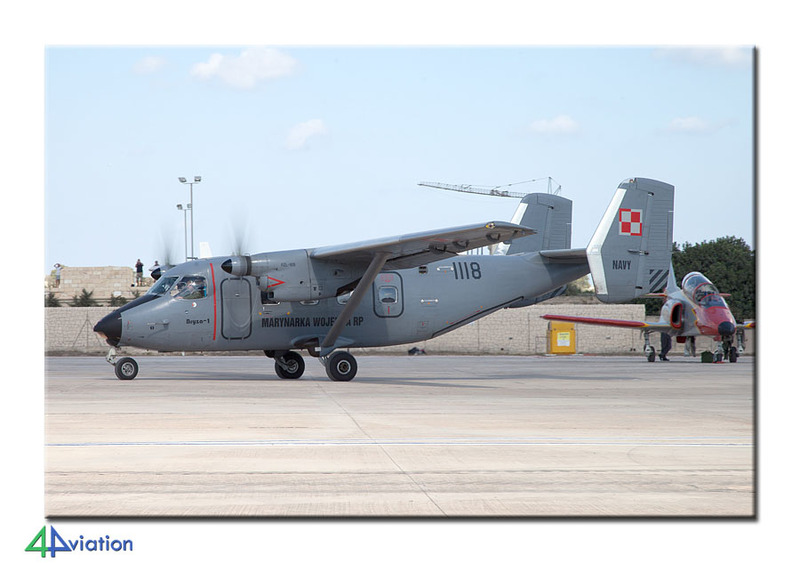 According to several members of the Egyptian delegation, the Egypt Air Force is planning to send their demonstration team, flying 10 K-8Es, “Silver Stars” to the 2015 edition of the show.